Rati's club career started in Dinamo Tbilisi in the 1996/97 season. His goal-scoring abilities helped them win the league titles in 1997, 1998 and 1999 as well as the 1997 cup. During his Dinamo career Aleksidze scored 33 goals in 71 appearances, and especially the 12 goals in 14 games in the 1999/00 season attracted the interest of bigger European clubs. He was taken on trial to English team Chelsea, who decided to buy him. Aleksidze found first team opportunities at Chelsea hard to come by, however, as he only played in two league games and one European match, all as substitute. Released by Chelsea in September 2001, he eventually returned to Dinamo where he scored nine goals in his first season. In 2004 he was bought by Russian team FC Rostov, then retired from his professional career and returned to Georgia. In July 2008 he made a comeback, playing for FC Lokomotivi Tbilisi. Then in January 2009 he joined the Hungarian club Győri ETO FC. Rati earnt 19 caps and scored 2 goals for the Georgian national team between 1998 - 2004.
i.e. 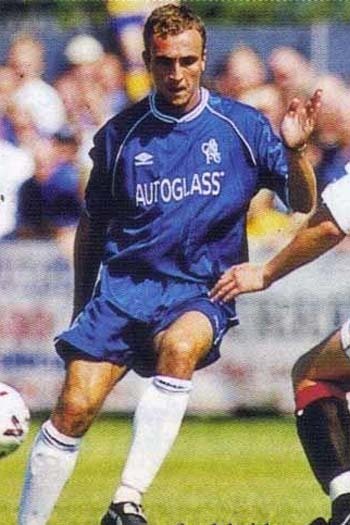 Rati Aleksidze made 3 appearances for Chelsea, of which 3 were as a substitute.